The Haitian American Nurses Association of Florida, Inc. (HANA) is a 501(c) 3, non-profit membership organization, established since 1984. Alice Casimir and Jacqueline Dasque, two registered professional nurses practicing in Miami and other professionals, saw the need to establish an organization that would provide health care services to migrant workers in the Homestead, Florida area. To provide nurses the opportunity to unite as a group, to share and provide ideas of interest, and to become effectively involved with the issues and services relevant to the health and welfare of communities in Florida and abroad. HANA’s strategic vision is to be recognized nationally and internationally as a world-class nursing organization. HANA believes that every nurse has the ability to serve, lead, educate and empower others toward a healthier life, and be a catalyst for change. Currently, HANA comprises of six chapters in the United States: HANA of Florida, HANA of Rockland, New York, HANA of Greater New York, HANA of New Jersey, HANA of Georgia and HANA of Tampa, Florida. HANA fosters awareness and commitment to providing excellent nursing services. 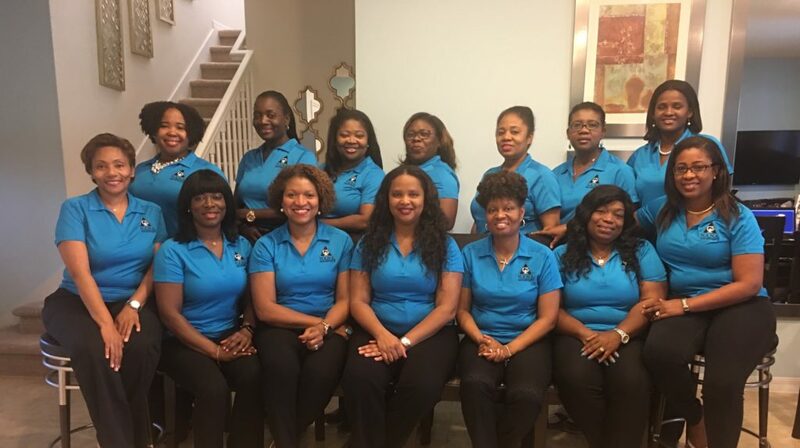 Additionally, the organization strives to increase the enrollment of nursing students through education and mentoring opportunities as well as creating community-networking opportunities for its members. HANA continues to provide scholarships for students enrolled in local nursing schools and in Haiti. HANA has developed a teaching project initiative to send volunteer nurse educators to teach at Faculte des Science Infirmiere de Leogane (FSIL) in Haiti to raise the level of nursing care and promote quality patient care in order for the nurses to become effectively involved in the betterment of the healthcare system of Haiti. Become effectively involved in issues and services relevant to the health and welfare of the community in Florida. HANA collaborates with other organizations to promote health and wellness through education and prevention by providing culturally sensitive care. HANA holds annual health fairs in the tri-County areas and as far away as Orlando and Immokalee by providing health screenings in a number of venues to underserved populations. HANA provides blood pressure and diabetes screening, immunization drives, educational programs on HIV/AIDS, Obesity in children, colorectal cancer prevention, women and heart disease, and healthy aging as well as other health concerns. HANA works in collaboration with several organizations including American Cancer Society, Walmart, Florida Breast Cancer Foundation, Miami Dade College, HCR ManorCare, Blue Cross Blue Shield of Florida, Vitas Innovative Hospice Care, Project Medishare, Miami-Dade County Health Department, Haitian American Professionals Coalition (HAPC), Florida International University, Island TV, WRSF 1580 AM, Radio Mega 1700 AM, Miami Dade Area of Health (AHEC), Association des Medicins a L’Etranger (AMHE), HAL), Sant La, FANM, Community Access Center, local churches, and other organizations who are committed to help eliminate health disparities and to reshape the health care delivery system for citizens in Florida and in Haiti. HANA utilizes evidence-based practice to improve health outcomes and promote healthier communities.